Keeley has been working in our dispute resolution team during her training contract and qualified in October 2018. Keeley is particularly skilled at dealing with detailed matters having dealt with matrimonial, defamation and commercial matters since starting at our firm. 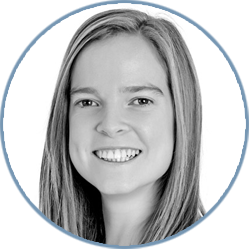 Keeley graduated from the University of Kent in 2013 with a 2:1 Law Degree then went travelling to America, Fiji, New Zealand, Australia and Thailand before coming back to complete her Legal Practice Course with BPP University graduating with a distinction in 2015. Keeley is currently our unofficial IT go-to at Griffin Law and is the creator of our Vlogs. She is also working on her Masters in Legal Practice with a focus on matrimonial and commercial law. In her spare time, Keeley enjoys mountain biking and spending time with family and friends.